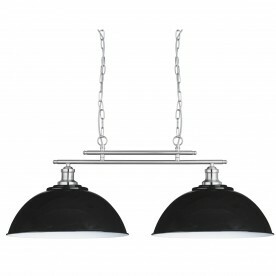 This Fusion Satin Silver 2 light ceiling bar light with black shades will be a great accompaniment to contemporary decors, such as lofts, kitchens, bars, restaurants and cafes. 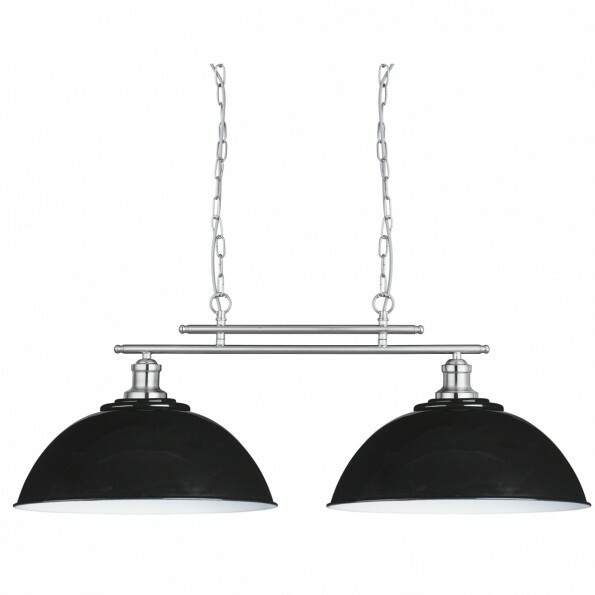 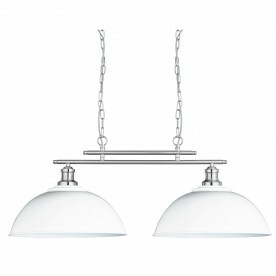 The shiny black finish shades have contrasting white inners which reflect the light beautifully, and this light not only delivers an effective lighting solution, it looks fantastic too. Ths sleek satin silver finish bar and simple yet stylish black shades are a perfect fusion of the practical and the beautiful.